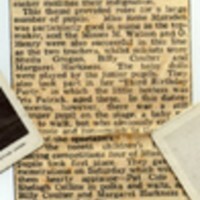 A newspaper article reviewing a dance recital performed by the pupls of Miss Lena King's Dance Studio. 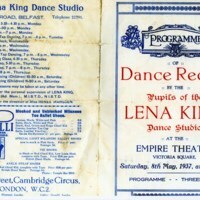 This is a copy of the programme from a dance recital at the Empire Theatre performed by the pupils of Lena King's Dance Studio. 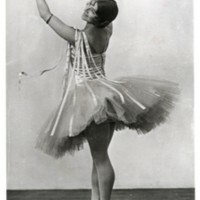 This is an image of Lena King a ballet dancer who taught ballet to Avril Patterson.